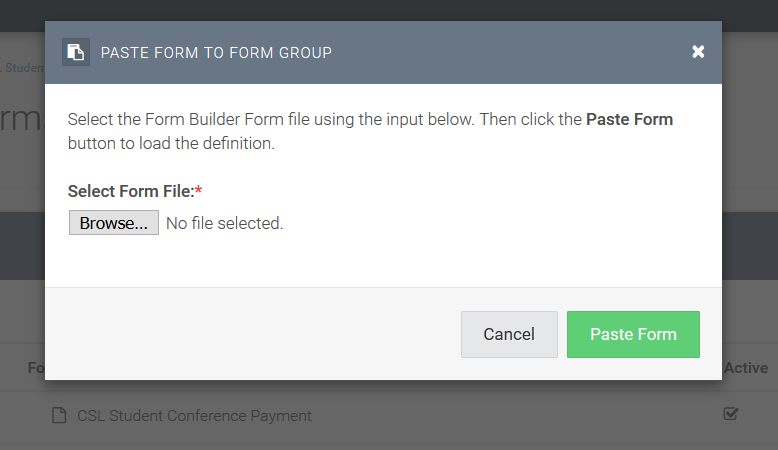 This document shows how to copy a FormBuilder form. 1.) 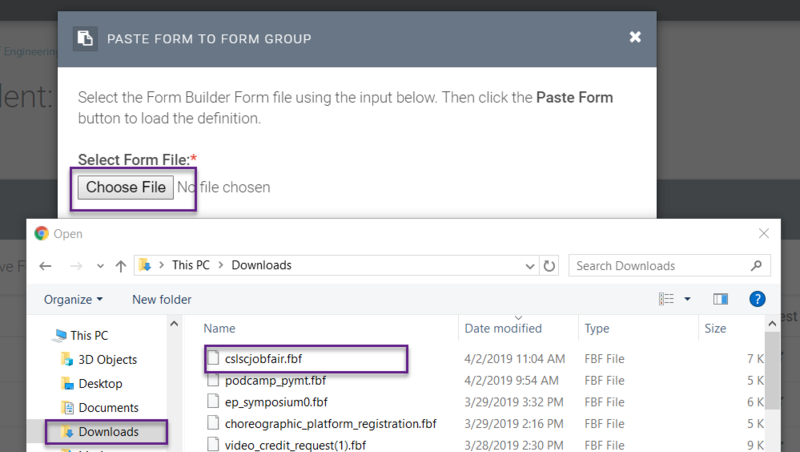 From the form group page, select the blue gear on the form you want to duplicate to open the drop-down menu of options. 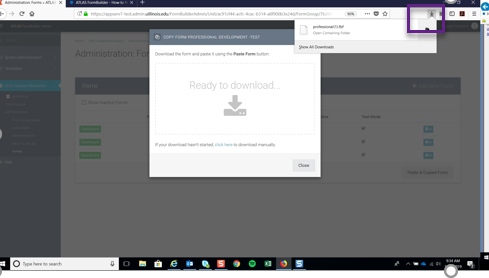 Select 'Copy form'. 2.) A new window will pop up with instructions to download the form. 'Save the form'. 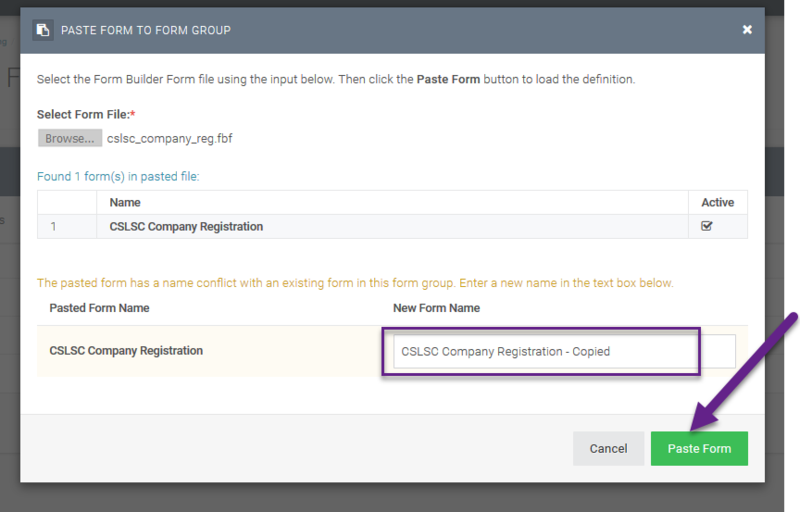 3) Select 'Paste a Copied Form' back on the Forms page. 4) A window will appear asking to 'Select Form File'. You have several options for selecting the file depending on which browser you are using. 6.) 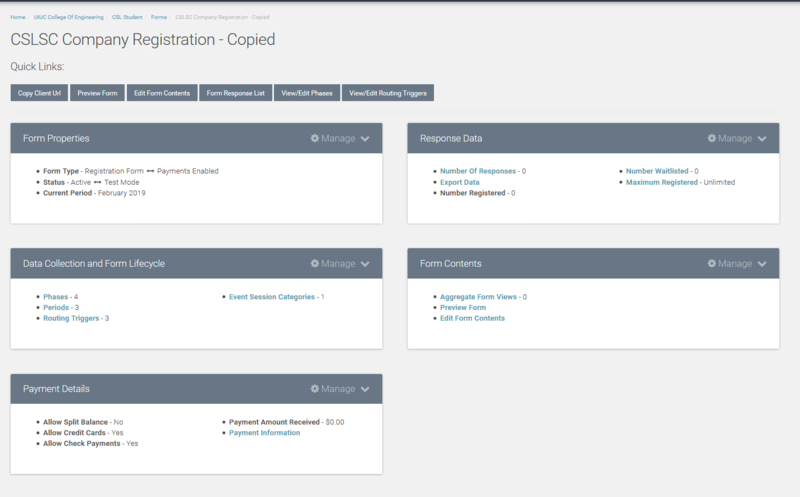 This will bring you to the Dashboard of your newly created copy. You may make edits or changes to the form that remain separate from the original form.